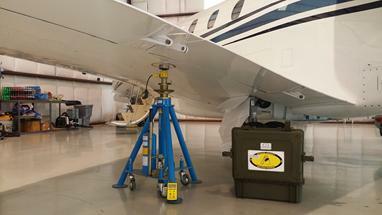 Cessna business jets are easily weighed on our HH2400 hand held wireless weighing system. Cessna X weighing using our hand held HH2400 series wireless weighing scale system. This system can be used for all the series from the 500 series, CJ/Mustang, all the way up to the X. No wires! No Extension cords! The entire kit, ready to use is show here, just deploy the cells and use the hand held indicator for your read out. We have wireless platforms in a 10,000 lb load rating, wireless operation using our HH2400 hand held system or our M2400 laptop system. Platforms are easy to use, just pull on and push off. Wireless means just that, no wires or cords. 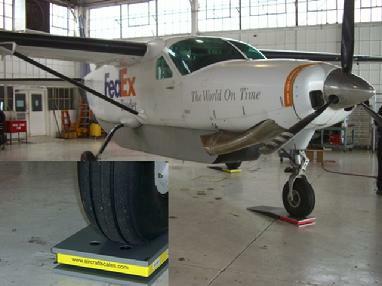 Cessna 208 is easily weighed using our platform system. 208 Cessna can also be weighed on our top of jack kit as shown. 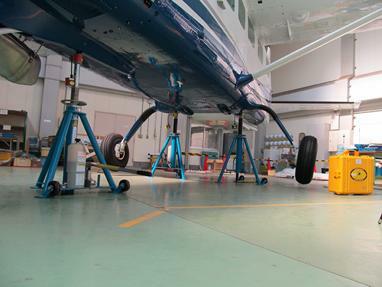 Consult your maintenance manual for the special mounts to be used as per Cessna. 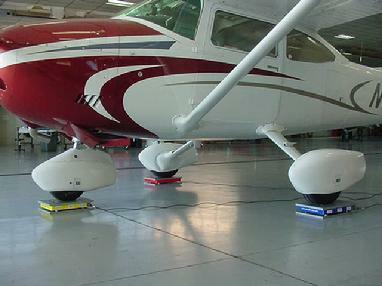 Yes, the small Cessnas can be weighed on our platforms. Here On Site Weight and Balance is conduction a weighing using our M2400-3-10KP wireless platform system.